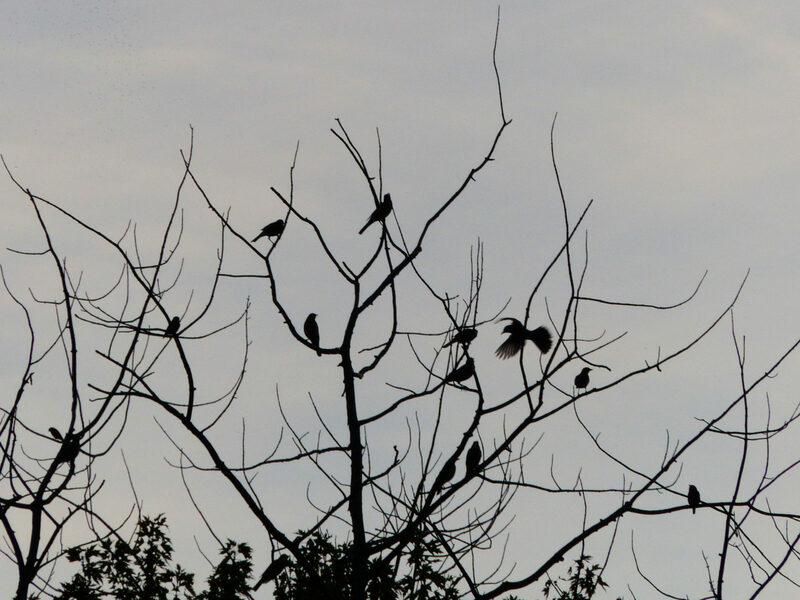 One evening a flock of birds was in my neighbor's tree and I captured several silhouette shots of them in the evening sky. When one bird came in and scattered the rest of the birds, I was disappointed at not being able to get more shots. That is until I looked at my photos and found that I captured the bird flying in.